If we ever decide as a nation that none of us have all the answers, my siblings and I could be the poster children for the complexities of educating America’s youth. Born to a father who quit school in fifth grade and a mother who quit school in ninth grade, my sister and I were the first of our paternal grandparents’ 52 grandchildren to graduate from college. Like many parents today, my parents fervently wanted us to have the education they didn’t have, but they had no idea how to make that happen. 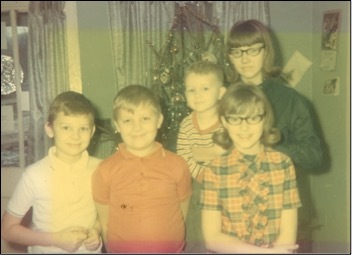 My sister, the eldest child, was forced to change schools in tenth grade when my father lost his job in the coal mines. Unfamiliar to the teachers in a new county, she was arbitrarily placed in what was then the “secretarial” track and was refused entry into “college prep” classes. Had her talent not been recognized by her journalism teacher, she might never have gone to college. But because one teacher took an interest in her, she became editor of the school newspaper and the yearbook and her senior year was named as the West Virginia state high school journalist of the year. A single teacher helped her find her way to WVU the following fall, and though she came out of college with significant debt, she has had a successful career in journalism and public relations. Because of her example, teachers quickly took note of me, her younger sibling, when I entered the high school the same year she began college. I was placed into classes that prepared me for college because of my success in middle school, but I received attention from teachers in large measure because of my sister’s success. And the more positive attention I got, the better I performed. My parents still had no idea how to navigate the college admissions process, but my favorite English teacher helped me fill out the forms I needed and apply for grants and scholarships that ensured I came out of Concord College nearly debt free. Next in line, my younger brother had no interest in college when he was in high school. The counselor enrolled him in the vocational program, and while he got only average grades—and a few below average—he graduated from high school with a trade, though he decided to go into the coal mines instead. When he was in his thirties, he decided to take some college classes, and he secured a job he loved with a nationally known company with a facility in West Virginia. He’s a hard worker with an excellent work ethic, but when the owners sold to a company overseas, he was forced to take a pay cut he could ill afford, and he went back into the mines. Because of the economy and the issues surrounding fossil fuels, his job has not been secure. My two youngest siblings have fared the worst. My second youngest brother’s story is tragic in spite of the educational opportunities presented to him. A gifted musician and a popular student, he entered the college preparation track and had the same opportunities I’d had. He focused when he needed to but often played the role of class clown. He graduated from high school in good standing, largely because of his charm. With the help of his band director, he followed our sister to WVU, but he was ill prepared for the demands of college, where his charisma—though it made him a hit at parties—was of little use to him in lecture halls with 200 students. He dropped out, went into the military, and afterwards secured decent jobs in sales, where his congeniality was initially an asset. But after a back injury, he became addicted to prescription pain medications, and when he lost his job and his charm, his life spiraled out of control. He died in 2007 of an overdose. At the time of his death, he had six different pain medications in his system and a ticket to the symphony in his pocket. Of all of us, my youngest brother is the only one for which the school system bears a significant portion of the responsibility. A shy and quiet boy, he was passed by his teachers largely because he was a nice kid. He read at only a functional level and was never identified for interventions of any kind. He enrolled in the electrician’s program at the vocational school and came out qualified to work as an electrician’s helper. But he couldn’t read well enough to pass the written test to be certified as an electrician, which would have earned him significantly more money. He lived just above the poverty line for many years, but when he had an accident, he, too, became addicted to prescription drugs. When he lost his job and could no long afford them, he turned to heroin. He has been in and out of jail for charges related to his addiction, and, thankfully, he has been clean for a year now and has found an employer willing to give him a second chance. My youngest brother’s senior English teacher told my mother, “We have failed your son.” I’ll never forget the agony in my mother’s voice when she repeated this story to me. I was a beginning teacher, and I vowed to try my hardest never to have to say what this remarkable teacher had the courage to admit to my mother. By the time my brother was a senior, it was too late to recognize that his teachers should have had higher expectations for him. Though he couldn’t read well, he could think. But because his teachers liked him and felt a little sorry for him when they compared him to his siblings, they demanded little of him. He and I talked recently about how much he read in jail—mostly mysteries and crime novels—and he recognizes that he’s now a better reader. He told me that he wished he had gotten some books in jail and studied for his electrician’s license now that he can read better. I assured him that it is never too late. “Walt Whitman? !” It was both a question and an exclamation from his sister, the English teacher. “Leaves of Grass?” I asked skeptically. My brother hasn’t always been known for telling the truth. Yes, that is definitely something. Now nearing the end of a 39-year career, I don’t think I’ve ever been quite so stunned after underestimating a person’s ability to learn. It pains me most as I look toward retirement that I was not able to single-handedly save the students who failed my English classes. I wish that I had done better. I wish that we could all do better—not just the teachers, but every single one of us. Reaching into ourselves and finding the will to act is the first step to changing the world for our children.